The excitement and fear created by the passage of the Home Rule Bill through Parliament heightened sectarian tensions in Belfast. On the morning of the 3rd June, Catholic navvies (labourers) drove a Protestant out of the Alexandra Dock. The following day, up to a 1,000 Protestant shipwrights descended on the navvies. Many navvies jumped into the Lagan to escape. 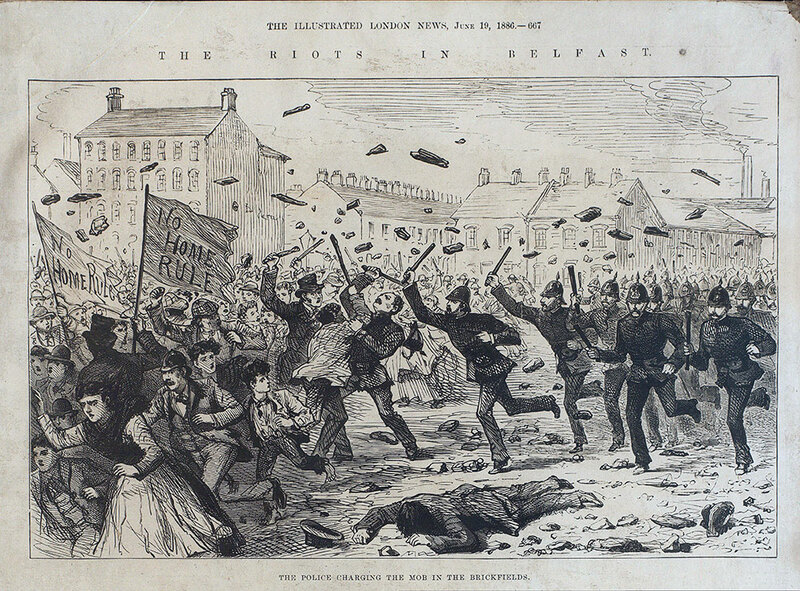 As rioting spread, the mayor of Belfast contacted Dublin Castle to request police reinforcements to restore order. 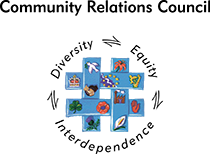 On the 8th June, Protestants in the Shankill Road area attacked Catholic public houses, the police charged the mob with fixed bayonets, the mob retaliated by throwing paving stones. Battles between the mainly southern police reinforcements and the loyalists continued. 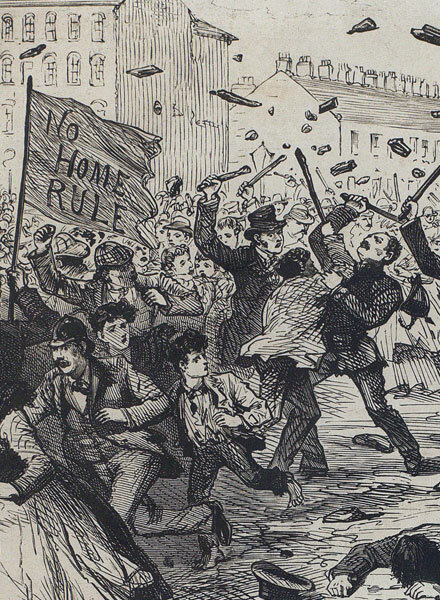 Rioting persisted throughout June and into July fuelled by rumours and suspicion. The disturbances did not die down until mid-September when the final death toll is thought to have been 50.